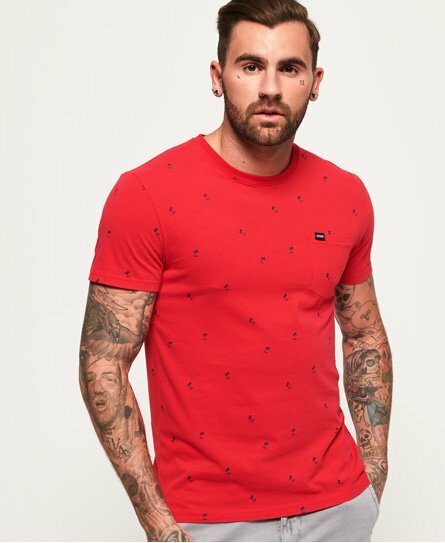 Superdry men’s all over print Lite pocket t-shirt. An absolute must-have this season, this lightweight t-shirt features a unique all over print, a single chest pocket and split side seams. The t-shirt is finished with a Superdry logo tab on the pocket.